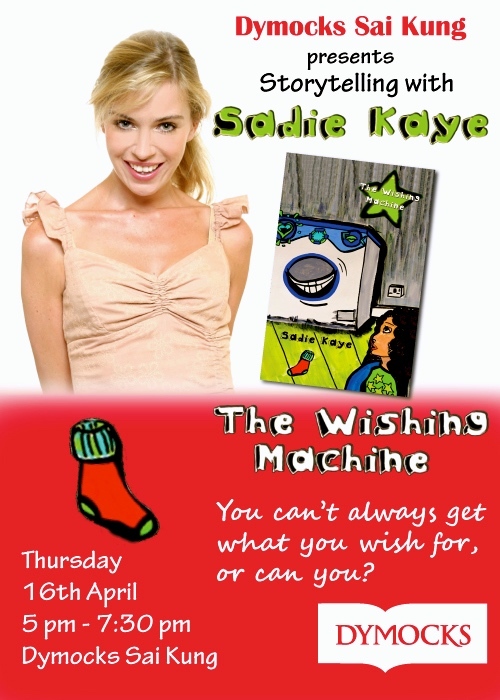 Sadie will be signing copies of her debut children’s book The Wishing Machine @ Dymocks Sai Kung on April 16 from 5pm onwards. HUGE thanks to store owner Ursula for organizing the book signing and arranging for wine & nibbles to be laid on. Sadie CAN’T WAIT!! !